A review of the Farrier qualification was identified as a priority skill area in the 2017 Animal Care and Management IRC Skills Forecast and Proposed Schedule of Work (see page 28). Skills Impact and the Animal Care and Management Industry Reference Committee (IRC) will take this project through a process that adheres to the 2012 Standards for Training Package Development. This project will review and update the farriery qualification and units of competency so that all job functions are accurately described, with appropriate current knowledge and skill needs. Scroll down to view the qualification and list of units that will be reviewed in this project. 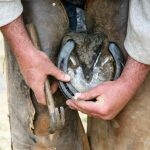 The Master Farriers Association have indicated that the Certificate III in Farriery and related farriery units do not align to current job roles. The Master Farriers Association have suggested a review of the assessment requirements of the units within this qualification to enable sound delivery and implementation. The Certificate III in Farriery and horse contact units were recently updated to consider safety in training and reformatted to become compliant to the 2012 Standards for Training Packages. This work took place as part of the Equine Safety in Training Project, but it did not involve a full review of the skills standards or a functional analysis of the role of a Farrier as project funding was only for embedding safety. This project will look at these revised documents and update them to ensure they meet industry needs and become fit for purpose. Subscribe to the Skills Impact newsletter to keep informed about project updates. Make sure to select ‘Animal Care & Management’ as your industry of interest on the subscription form. The Certificate III in Farriery and its related units of competency (available below) were recently reviewed as part of the Equine Safety in Training Project. However, the qualification and units were only made compliant to the Standards for Training Packages 2012. They did not undergo a full content review. To view the qualification or a specific unit, please click on the title*. We would like to know what changes or updates should be made to the qualification or units so that they meet the skills needs of the industry. In particular, we are looking for feedback relating to the following questions. Is there a need for metal work skills (forging, welding etc.) to be a core part of the qualification, or is this now a specialisation and thus should become an elective? What are the skills for shoeing a horse with different types of horse shoes (rubber, plastic etc.)? Should “barefeet” skills be part of a farrier’s role? There are reports that farriers are undertaking equine dental activities, should this be an elective? Does the title of the unit accurately reflect the skill outcome? If not, what should it be? Does the application accurately describe the worker that would undertake the skill? If not, what should it be? Are there any relevant legislation, licensing or industry requirements that apply to the unit that are not already stated? If yes, what are they? Do the elements and performance criteria accurately describe the process of undertaking the skills? If not, what should they be? Is the language used within the unit correct industry language? If not, what should it be? How many times would you expect to observe/assess someone undertaking the skill to be confident in their ability? Any other comments about the units. Your feedback will help us in drafting the revised qualification and units. *Please note that the link will provide a version of the qualification or unit that was reviewed as part of the Equine Safety and Training Project, and not the version that is currently listed on training.gov.au. Consultation with Subject Matter Experts around farriery and equine hoof care skills has taken place throughout November. These meetings will inform the development of a revised farriery qualification, skill sets and units of competency so that all job functions are accurately described, with appropriate current knowledge and skill needs. Feedback from industry on the existing qualification and units is also being considered as part of this process. The draft materials will be completed by mid-January and will be available for download and comment from this webpage. Face-to-face consultation workshops are also planned for the following locations and dates, with a webinar planned for those unable to attend in person. Please feel free to register for a workshop near you or a webinar by clicking the corresponding link. Thank you to all those who provided feedback on the draft Certificate IV in Farriery, related skill set and units of competency. The drafts were made available on the Skills Impact website from 12 January – 7 February 2018. A series of face-to-face consultation workshops and a webinar also took place throughout January and early February. Feedback was sought on whether the draft qualification, skill set and units reflect the current skills and knowledge requirements of industry, and whether job functions are accurately described. Your feedback is extremely important to the team. It will help us to undertake work on the final draft qualification, skill sets and units, which will be available for industry in February/March 2018. The farriery qualification has been revised from an Australian Qualifications Framework level three to a level four, to reflect the level of work. One or more skills sets are being consulted about to cover activities associated with equine foot care. This initiative will provide an option for formal training in this area as well as potentially being a pathway into the farriery qualification. The draft qualification, skill sets and units that were available for industry review and feedback are listed below. 2 elective units (previously all core/0 electives). Revised Australian Qualifications Framework alignment of qualification. MEM05004C Perform routine oxy acetylene welding Industry – Feedback indicates this unit is not appropriate. Unit added to elective list. ACMFAR304 Respond to emergencies and apply first aid to equines Unit to address first aid to equines only. require the individual to demonstrate skills on both types of forge. ACMFAR40X Use farriery techniques to meet special needs of equines (previously ACMFAR312) PC2.1 added and additions to assessment requirements to cover diagnostic imaging. Other minor edits for clarity. Thank you to those who participated in the validation process for the final draft farriery qualification and units of competency. These final drafts were made available on the Skills Impact website from 1 – 14 March 2018. Thank you to those who also provided feedback and validation on the new equine hoof care qualification, new skill set and 3 new units. These documents were drafted following feedback from industry that there was a need for a clear distinction between the qualification for farriery and a new qualification for equine hoof care. Feedback also indicated the need for a new farriery-specific unit for welding. These drafts were available for consultation between 1 – 14 March 2018 and for validation between 12 – 26 April 2018. All of the final draft qualifications, skill set and units will shortly progress through to the Finalisation stage of the project, which includes quality assurance of the documents and review and feedback from the State/Territory Training Authorities, before the final drafts will be forwarded to the Animal Care and Management Industry Reference Committee (IRC) for consideration and sign off. They will then be submitted to the Australian Industry and Skills Committee (AISC) to consider and approve for publication on training.gov.au. The new equine hoof care qualification, new skill set and 3 new units were available for validation between 12 – 26 April 2018. A summary of the feedback that was received during the consultation period (between 1 March – 14 March 2018) and a description of its consideration and application in these final drafts can be downloaded below. The final draft qualification and units that were available for industry validation, between 1 March – 14 March 2018, are listed below. A summary of the feedback that was received during the consultation period (between 12 January – 7 February 2018) and a description of its consideration and application in these final drafts can be downloaded below. The majority of industry stakeholders agreed with the AQF alignment and revising the qualification to a Certificate IV to reflect the scope of work. Some RTOs had concerns relating to delivery issues and their student cohort. There was strong feedback to retain packaging rules specifying ‘core ‘only units ie no electives. MEM units relating to hand and power tools and different welding techniques were redeveloped into farriery specific units to reflect industry requirements. BSB units were added to address the need to equip learners with small/micro business skills before becoming self-employed. Some non-farriery units, from other Training Packages’, were identified as no longer current or suitable for the qualification during the information gathering and consultation stage. These units were removed but the relevant content captured and included in additional elements in selected units. On the 12th September 2018, the Australian Industry and Skills Committee (AISC) approved the Case for Endorsement for the updated and revised qualifications, skill set and units of competency, along with two Companion Volume Implementation Guides. 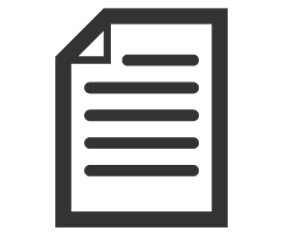 The final qualifications, skill set and units are now published on training.gov.au, which means they are available for use by registered training organisations (RTOs). They are published within the ACM Animal Care and Management Training Package version 2 (published on 11/12/2018). Click here to view the training package. This project reviewed and updated the Farriery qualification and units of competency to accurately reflect job functions, with appropriate current knowledge and skill needs. It also developed a new qualification for Barefoot Trimmers. Registered training organisations (RTOs) may now apply to have the updated qualifications, skill set and units added to their scope of registration. RTOs who already have the qualifications and units that have been updated as part of this endorsement have 12 months to transition to deliver the updated qualifications, skill sets and units, from the date of publication. For more information, visit the Australian Skills Quality Authority (ASQA) website. A Companion Volume Implementation Guide and a User Guide: Farriery and Equine Hoof Care have also been produced to help training providers implement the new and revised skill set and units. These can be downloaded from VETNet.com. Meetings were held with Subject Matter Experts (SMEs) across Australia in Melbourne, Perth, Brisbane, Adelaide, Hobart and Sydney in October and November 2017 to gather information that informed the draft qualification, skill set and units. Nine public consultation and feedback workshops were held in Woodside (SA), Melbourne, Launceston, Hobart, Richmond and Scone NSW, Perth, Gatton QLD and Darwin. Broad consultation also took place through the Skills Impact website, where the draft documents were made available for download and feedback for a four week period and again, for an additional two weeks, when the drafts were revised for validation. ACM30918 Certificate III in Equine Hoof Care. ACM40818 Certificate IV in Farriery. 18 units of competency (includes 6 new units). 1 new skill set for equine emergency shoe replacement. Note that the skill set and units developed out of the Work Safely Around Animals (Infection Control) Project were also approved as part of this Case for Endorsement. Two new performance horse units that were transitioned from a NSW accredited course were also included in the Case for Endorsement. Skills Impact were tasked in 2016-17 to transfer units from this course into the national endorsed system. The majority of this work was completed as part of the Equine Safety in Training Project. However, it was found that these two units (ACMPHR409 Analyse performance horse pedigrees and ACMPHR501 Manage legal aspects of horse enterprises) required further consultation with industry experts; they were therefore not included in Release 1 of the ACM Animal Care and Management Training Package, in August 2017. A review has been undertaken with industry experts and these two units have been published as part of the ACM Animal Care and Management Training Package version 2.0.